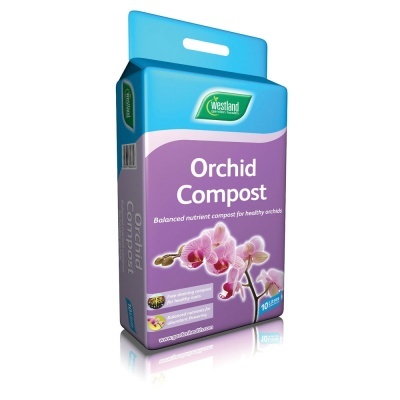 Westland 'Garden Health' Orchid Compost 10ltr Bag provides a well-drained moisture retentive compost mix, designed to feed and encourage stunning Orchid flowers. Orchids are simply beautiful flowers that need the right conditions so the roots can take up the nutrients and water required. Westland Orchid Compost contains organic matter essential for retaining moisture, keeping Orchid roots dry to encourage healthy root development. Orchid Compost includes nutrients that will release in the soil slowly, but Westland recommend once Orchid enters its flowering Season additional Orchid feed should then be introduced.